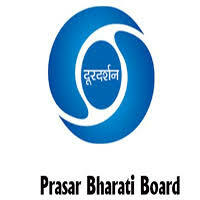 Prasar Bharati Jobs Recruitment Notification 2018.Prasar Bharati, Doordarshan inviting applications for the positions of Senior Architect.Interested and Eligible candidates can apply for the positions. (ii) Architects with 5 years regular service in the post in the PB-3 (Rs.15600-39100/-) with GP Rs.6600/-(pre-revised)/Pay level 11 (revised as per th CPC) or equivalent; and (b) Registerd with the Council of Architecture and also be graduate in Architecture or must possess equivalent qualifications. (The departmental officers in the feeder category who are in the direct line of promotion will not be eligible for consideration for appointment on deputation). Age: The officers should not have crossed the age of 56 years as on the closing date of receipt of application. Deputy Director (PBRB), Prasar Bharati Secretariat. Prasar Bharati House, Copernicus Marg, New Delhi110001. (v) List of minor/major penalty, if any, imposed on the applicant during last ten years. 2. Complete application with the above documents, duly signed by the authorized officer, should be forwarded through proper channel to Deputy Director (PBRB), Prasar Bharati Secretariat. Prasar Bharati House, Copernicus Marg, New Delhi110001. Last date for receipt of applications is 21 days from the date of publication of the advertisement in the Employment News. 3. The candidates who apply for the post will not be allowed to withdraw their candidature subsequently.